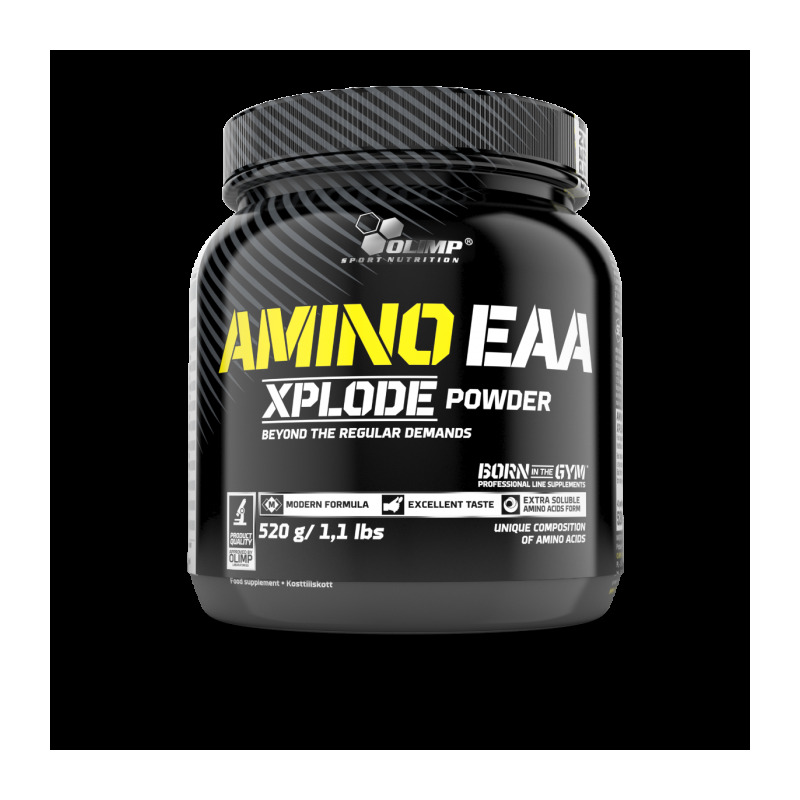 * AMINO EAA XPLODE IS THE SYNERGY OF EFFECT OF EAA, ADDITIONAL BCAA, L-GLUTAMINE AND L-ALANINE. Excellent amino acid product based exclusively on free, pharmaceutically pure forms of amino acids. 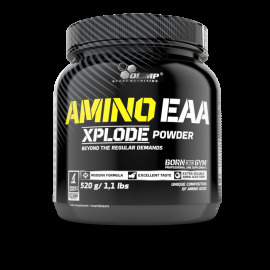 The composition of AMINO EAA Xplode is mainly based on essential amino acids (EAA; L-leucine, L-lysine, L-valine, L-isoleucine, L-threonine, L-phenylalanine + L-tyrosine, L-histidine, L-cysteine + L-methionine, L-tryptophan), which due to the fact that the human body is unable to produce them itself, have to be absolutely supplied from outside in food or in the form of a food supplement. The mutual relation of individual essential amino acids in AMINO EAA Xplode was selected based on demand for EAA determined under a ratio method based on the average daily demand of the group (Average Requirement) by WHO/FAO/UNU experts adopted in the report of WHO/FAO/UNU published at the end of 2007. Considering however the individual requirements of sportsmen the product was additionally enriched with branched chain amino acids (BCAA), Enrichment of AMINO EAA Xplode with vitamins from group B. 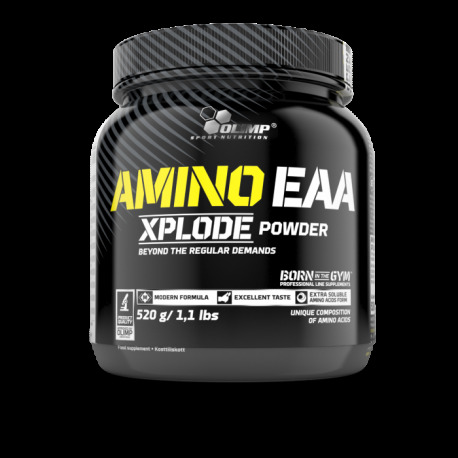 *Amino EAA XPLODE - DISCOVER ITS MAGICAL POWER!